It is very nice to see that complete broadcast after so long. Lovering is on fire in I've Been Tired. Live at VPRO Studios, Holland 1988. I've seen clips of this before but never the whole thing. Good sound quality. Opening question in the interview bit - "Are you really as funny as your music?" That is a great set there. It was uploaded to Dime many years ago (maybe 6 or 7?) and I guess it is odd that the complete set never made it to youtube before. I uploaded a couple of the songs (with poor sync for some odd reason) many years ago, before 10+min vids were even allowed. http://www.csindy.com/coloradosprings/band-of-skulls-hooks-up-with-pixies-producer-gil-norton-for-their-best-album-to-date/Content?oid=4023509 One of Gil Norton's latest production jobs. 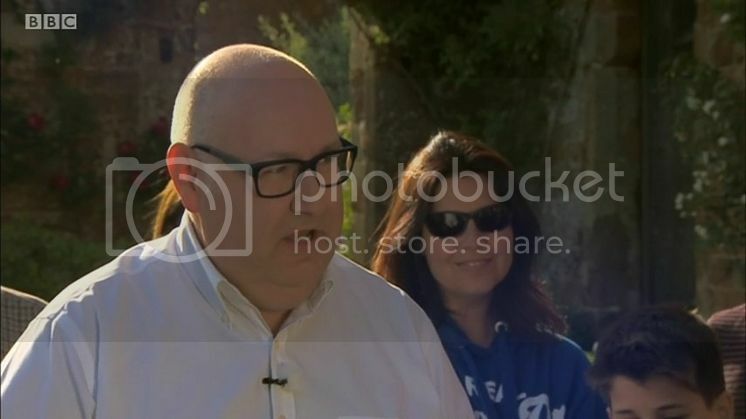 Pixies reunion on Antiques Roadshow. ^ Doesn't quite work, look closely and he's sporting a hideous ponytail. Leon Russell, Rock and Roll Hall Of Famer, Dies at 74. Pixies vocalist Black Francis credits Russell with influencing his vocal style: "I realize there's a certain kind of vocalizing I do that takes its cue from Leon Russell. He sang in a southern accent but it was very blown-out and exaggerated, very free and loose." I only know him from the Pixies reference, but anyway, sad news... RIP. I would hope everyone knows of the great series Black Mirror. Excellent viewing most of the time. One of the new episodes provides great use of a great Pixies song! Not sure if this has been posted before. Somebody assembled a version of No.13 Baby with a super long outro. Guy Garvey admires Charles very much. Never heard of them before I am liking that song. I haven't seen this mentioned before, but I was just listening to Head Carrier with headphones, turned up pretty loud. Just a little tid bit from Bel Esprit that I noticed for the first time. At the very end, when the guitars finally fade out, you can hear Paz cracking up laughing. Has anyone else caught this? Just thought it was kind of amusing since we haven't really had any "studio" background stuff since it was Kim talking on SR. If Guy Garvey credits Frank for the "its all disco" quote, then Frank should credit Iggy Pop. He has, like a billion times! i am only posting posting this because I can't believe that the Pixies/Kim Deal could be the target of such non-sense. Mental. Full on scary mental. A mean nasty thing about Kim Deal. Probably deserves to be in a more important thread but hey ho. A pretty convincing demonstration that Kim Deal is a male by analyzing the shape of her skull. I'm convinced. I always thought Kim had the manners of a truck driver anyway. And btw Santiago has been spotted wearing nail polish in the last few months.